We have several new preorders and in-stock items to announce. 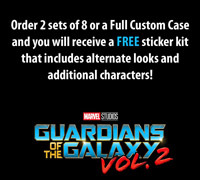 Also we are creating a sticker kit for Marvel Minimates Series 71: Guardians of the Galaxy Volume 2 that is FREE with orders of 2 full sets of 8 or a full custom case. Click the Read More button below to see it all! 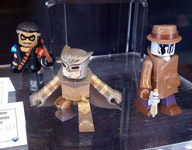 We have pics of the Minimates and Vinimates shown at NYCC 2016 which were sent to us by Jordan DesJardins of ScienceFiction.com. Thanks Jordan! Click the Read More link below to see all of the reveals! Personally, I think the Vinimates stole the show this year - I love the new licenses!